What an odd thing to launch you might say. And on this occasion you would be quite right. 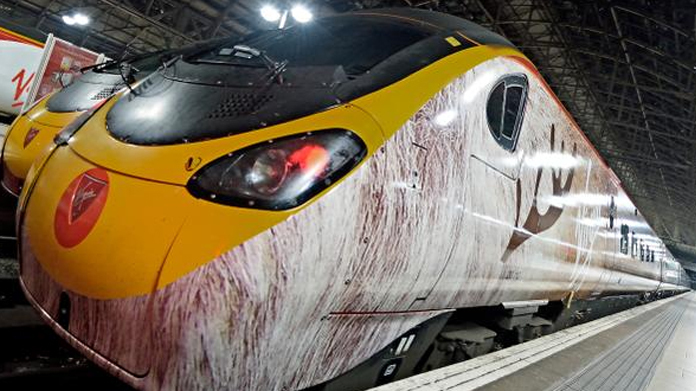 But to get travellers into the festive frame of mind, the Virgin Trains team has been launching the #traindeer (yes, we know, it’s a pun in the shape of a hashtag … but it seems to be working!). Inspired by a charity Christmas card entry from one of the travel company’s youngest passengers the design is based on a picture by young Ella and Ruby. A swift spot of cute naming, a lovely little video (made by VT themselves) of the unveiling of this rail-based marvel to its creator and a sell-in later and the promotion was off. With pieces on Sky Sunrise, an Independent piccie story and a variety of others we got some decent coverage. But it’s on social meeja where the Traindeer has been earning it’s hay.